Presented below is Broom Corn Johnnys calendar of events! We do everything from workshops (at our Windham Vermont) studio, to retail and wholesale shows. Please keep an eye on my calendar page which will be constantly changing. We will have our studio open to the public! 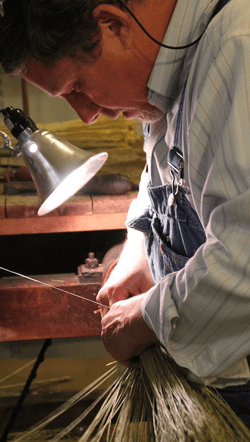 Take a Shaker-inspired broom making class right here at Shaker Village! There’s no better place in the world to learn the craft of broom making. Using both natural and pre-dyed brush and a foot tumbler, you will learn brush control, metering, the “V-up” and assembly techniques to create the delicately balanced turkey wing shape. 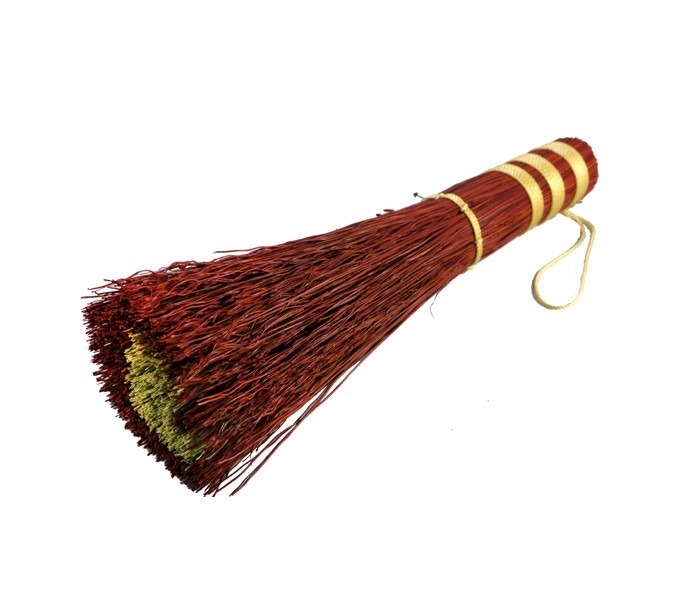 Participants will take home a completed broom and have the opportunity to purchase raw materials and tools to continue creating brooms at home. A random selection of color broomcorn and binding thread choices will be available. Your instructor is Brian Newton of Broomcorn Johnny’s in the Green Mountains of Vermont. Brian is a national prize-winning artist and member of the Early American Life Directory of Traditional American Crafts. He is dedicated to creating high-quality, long-lasting and beautiful brooms for his customers and is a gem of an instructor who loves to share his craft and expansive knowledge with students of all levels. No experience necessary. All supplies will be provided. Just bring a pen so you can check this off of your bucket list! Using both natural and pre-dyed brush, a foot tumbler, and hand tools, you will learn brush control, metering, the “V-up” and round stitching techniques to create this elegant stitched round shape. 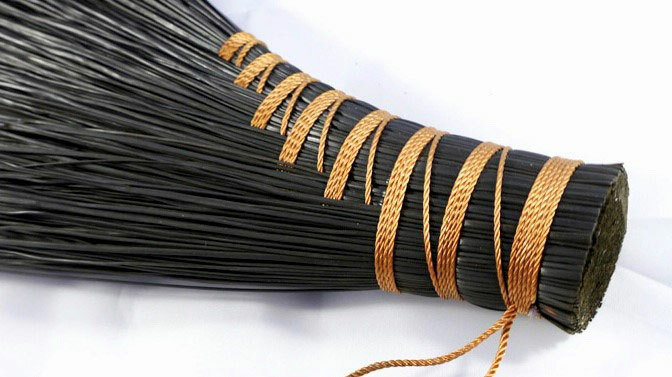 Participants will take home a completed broom and have the opportunity to purchase raw materials and tools to continue creating brooms at home. A random selection of color broomcorn and binding thread choices will be available.